On our last day in Vegas I woke up feeling awful and sick but I was not going to let that stop me from making the most of everything. I will say we got up a lot slower that morning and I blame going non-stop the days prior. We were leaving on a red eye that night so we had a ton of ground to cover! 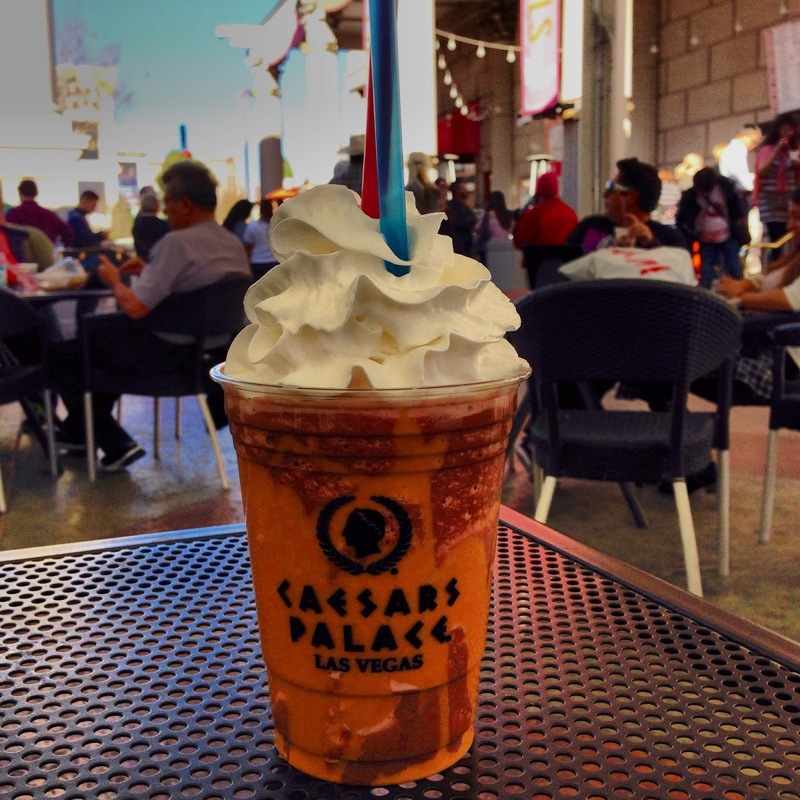 Here is a taste of what we got into and ate on our last day in Vegas! We started the day heading south down the other side of the strip hitting Caesar’s Palace first! 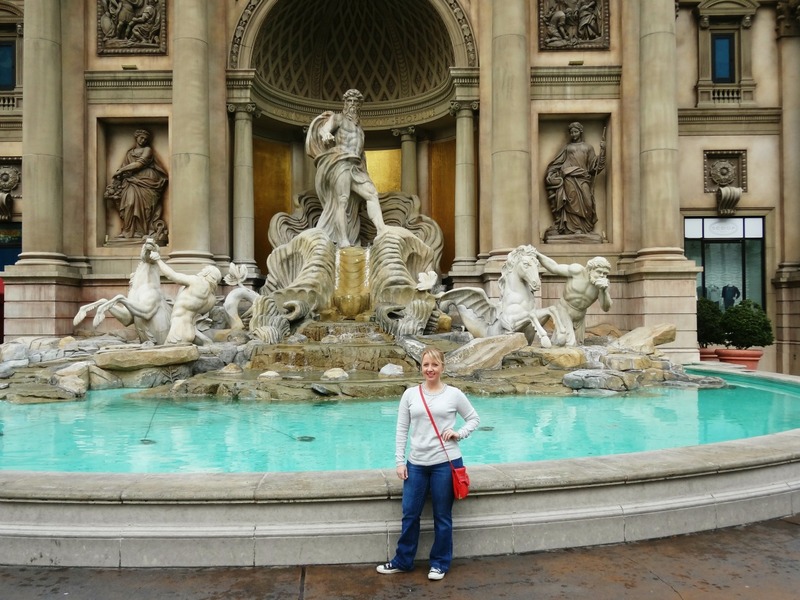 We had already checked out Caesar’s earlier as it was right next door to our hotel however I was dying to take a pic next to this fountain that was super packed with people every other time we had passed by it. This was around 8:30 in the morning and literally we only saw two people on the strip and they were jogging! I now believe what we were told that no one wakes up until noon in this town! 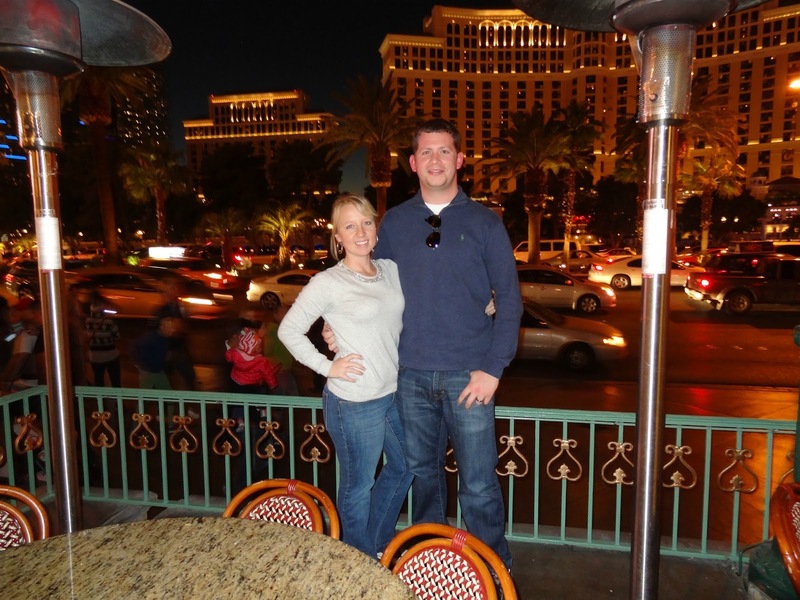 We then went next door to the Bellagio which I was super pumped about since I had heard such wonderful things. I will say that it is a extraordinarily beautiful hotel but I loved the feel of the Venetian more. 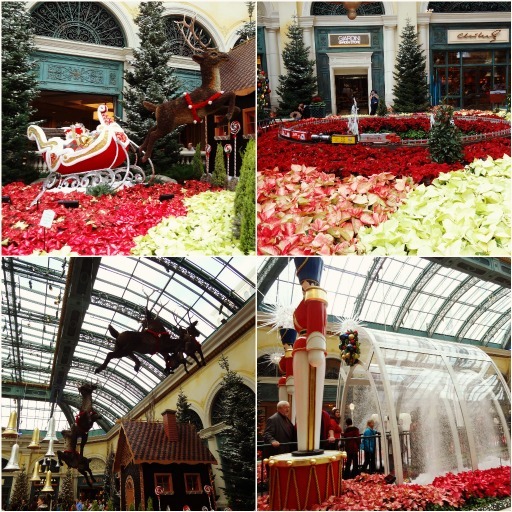 The Bellagio was still decorated for Christmas and it was absolutely gorgeous. 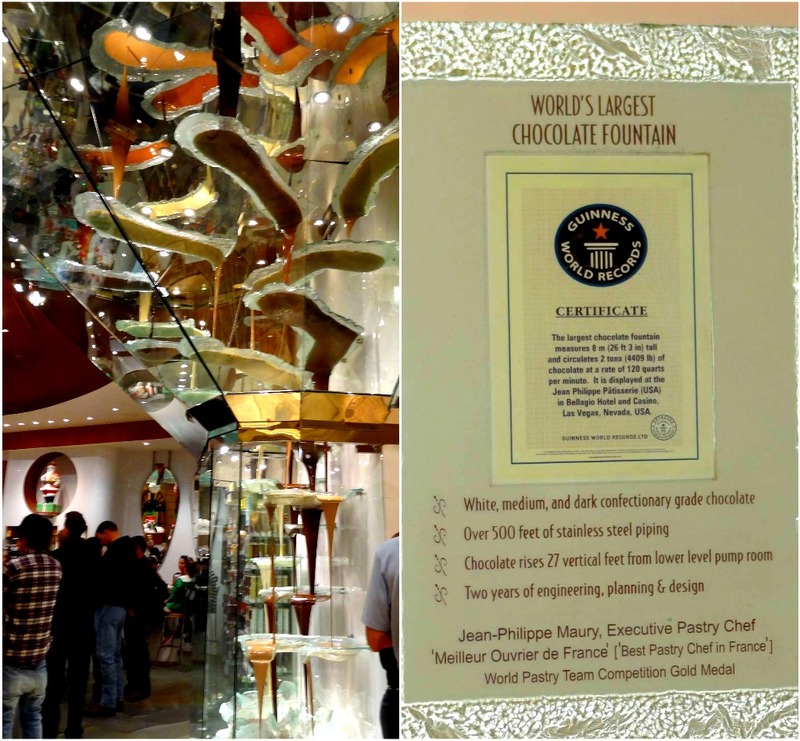 The hotel is also home to the World’s Largest Chocolate fountain which was pretty neat. We had lunch off the strip at In-N-Out Burger at the request of my husband. 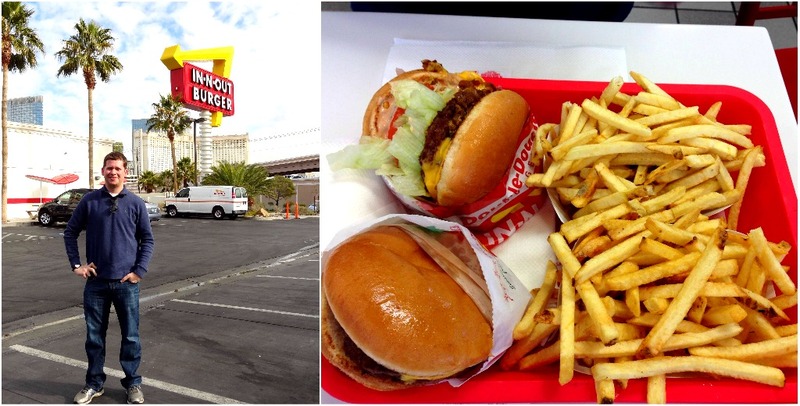 After we decided to go to Vegas for our vacay he replied with “You know that there are In-N-Out’s there!” He was very excited to get his hands on a double animal style etc…whatever that means. Anyway, we both enjoyed the cheapest meal we ate on this entire trip and I would totally go back in a heartbeat! We kept making our way down the strip visiting The Cosmopolitan, Aria, New York New York, Luxor and Mandalay Bay. We even rode the roller coaster at NYNY and it was wild. I mean it was a ton of fun but I doubt I have ever screamed that loud!! The Cosmopolitan was absolutely amazing! 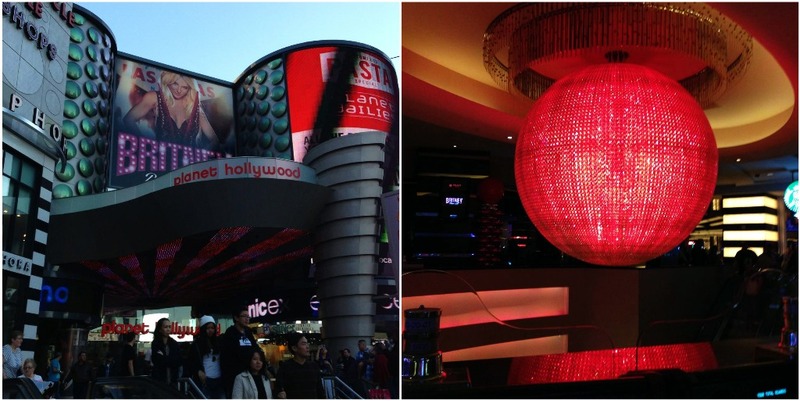 It had this gorgeous chandelier bar that I recommend checking out! We had to head back to Caesar’s Palace to pick up our show tickets and I decided I wanted to try out a Frrrozen Hot Chocolate from Serendipity 3. Let’s just say Mike and I were not disappointed in the Peanut butter flavored concoction. We couldn’t get enough! We both highly recommend not missing one of these! By that time of the day we were both extremely exhausted and my feet were absolutely killing me so we decided to pick a casino to hang out in and rest. I picked PH as I was searching from Britney who had just opened her Vegas residency the night before! We did not spot Brit Brit but we enjoyed chilling for a while and playing slot machines. We made a reservation at Mon Ami Gabi at Paris and requested a table on the patio. I highly recommend eating there at night and sitting on the patio year round as they have heaters etc. 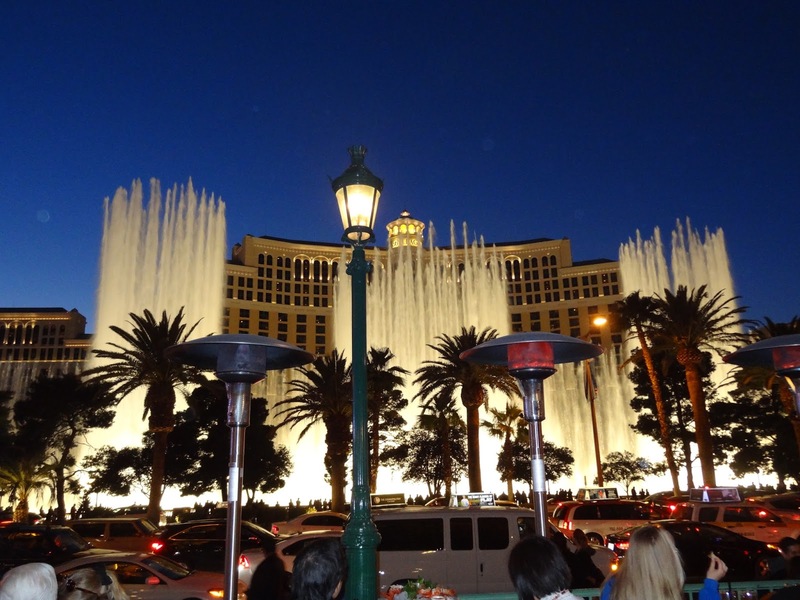 The Paris hotel is directly across the street from the Bellagio and you can enjoy the fountain show as you dine on delicious French cuisine. We were not disappointed with our steaks and I loved seeing the show every 15 minutes! After dinner I had a hankering for cheesecake so I convinced Mike(it didn’t take much) to head over to Ceasar’s Palace to the Cheesecake factory and enjoy a slice before we went to see Absinthe. We both enjoyed the show a lot. 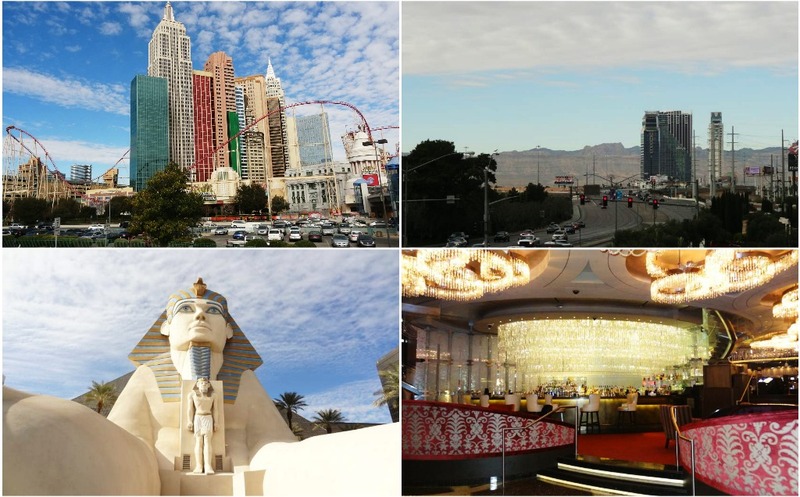 It was a really good mix of all that Vegas has to offer. It contains raunchy comedy, acrobatic acts and burlesque dance. I will say heed the warnings of offensiveness but if you are not offended easily you should really enjoy it! We thought it was worth every penny! After the show we hurried back to the Mirage as we were being picked up by the limo to be taken back to the airport! 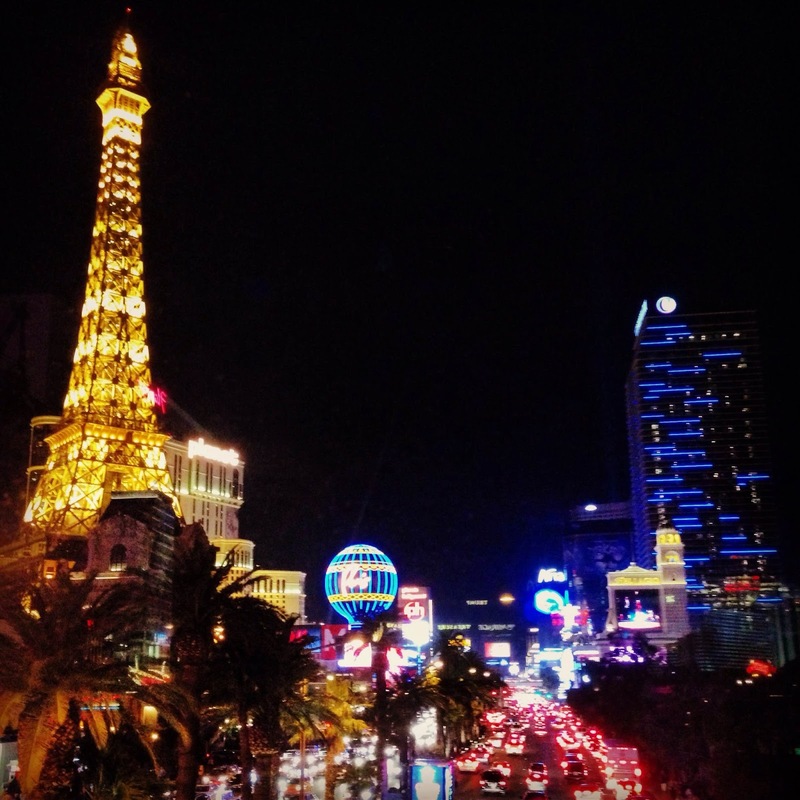 All in all, Vegas was a great(exhausting) time. Would I go back? Yes. Am I dying to return. No. I only say that last part because I have traveled very little and I want to see more of what the US has to offer!